"Excellent place to get your teeth cleaned and fixed!" "Dr. Prat is friendly, has up to date equipment and thoroughly explains his findings." "Dr. Prat is the BEST dentist- can't recommend him highly enough." "Really great work, he takes the time to do things right." "Has been our family dentist for many years. Competent, kind and funny." "Dr. Dennis is caring, gentle and very thorough." "Love everyone there so accommodating. I will return. Thank you so much." "Great dental office. Dr. Prat explains everything really well." "My teeth are clean now and my vibe remains chill thanks to these rad people." The Dental Touch is a full-service dental office that combines the latest technology with a family-friendly atmosphere that makes every patient in Oakland, California, feel welcome. The staff, which is led by Dr. Dennis Prat and Dr. Luis Romero, is fully trained to provide individualized care in their state-of-the-art office. Using the latest dental technology, the staff provides every member of the family with the safest and most evolved procedures available.  The team of dental experts at The Dental Touch offers a wide range of dental services, including restorative dentistry, general dentistry, oral surgery, conscious oral sedation, and dental implants. Dental implants have become the preferred method for adult tooth replacement and The Dental Touch offers same-day services using the increasingly popular All-in-6™ and All-in-4™ techniques. The dental clinicians pride themselves on doing whatever it takes to restore beautiful, healthy-looking smiles to their patients. To that end, they offer a host of cosmetic services, including smile makeovers, Invisalign®, veneers, and teeth whitening. Holding to the philosophy that the best solution is usually the simplest solution when it comes to restoring oral health, the team at The Dental Touch takes a minimally invasive approach to dentistry wherever possible. To learn more about the comprehensive services at The Dental Touch, call the office or use the online scheduling tool to book an appointment. New Patient Special includes Exam and X-Rays for $99! Dental veneers can transform the way your smile looks. All it takes is two office visits to start enjoying a more beautiful smile — and greater self-confidence. Learn how veneers can help you get the smile you want. "Dr. Prat is very considerate in helping me understand my conditions and spent time to help me understand." "The environment is very comfortable and clean and I would recommend this place to everyone seeking a good affordable dentist." "Got in touch with Dr. Pratt, and not only did he help my aches and pains, he corrected the mistakes my previous dentist made! Very thankful! Great staff too!" "Friendly staff and very knowledgeable dentists! Dr Pratt provided me with excellent service and care. He was up front about the costs and they are very fair." "Dr. Prat is very meticulous and patient. He does almost all facets of dentistry, and is skilled in all of them." "I appreciate and do recommend them highly -- from the counter, to the nurse , practitioners and Dr. Prat -- top notch atmosphere and service!" "The Dental Touch on Piedmont Ave. in Oakland is the very best dental practice my family and I have ever been to." "Dr. Pratt has been taking care of my families dental needs for the last 15 years. He is very personable and knowledgeable about his profession." "The Dental Touch is by far the best practice in the Bay Area. Dr. Pratt and Dr. Wu are both amazing dentists that take away that ill feeling of being at the dentist!" "The staff is super friendly making the initial encounter pleasant. Dr Prat's calm demeanor keeps the stress at bay allowing for a relaxed conversation."